As the lush green of summer gives way to the fiery hues of fall, the scenery on the East Coast comes to life. 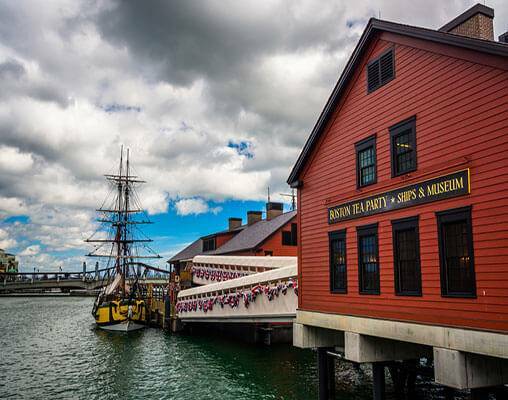 You will experience this change in person as you visit some of the most historic and picturesque sites New England has to offer on this 8-day journey. 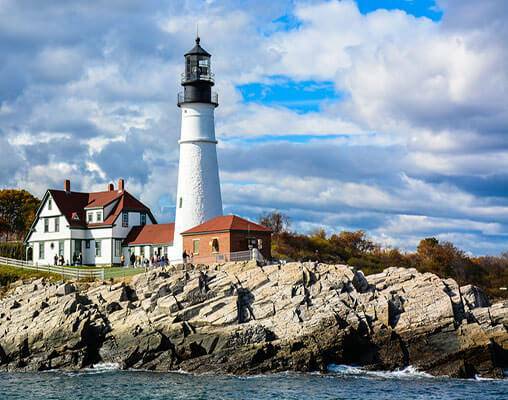 This round-trip tour begins and ends in Boston, and in between, you will experience places like Kennebunkport and Portland in Maine, Mystic in Connecticut, Weirs Beach in New Hampshire and Newport in Rhode Island. 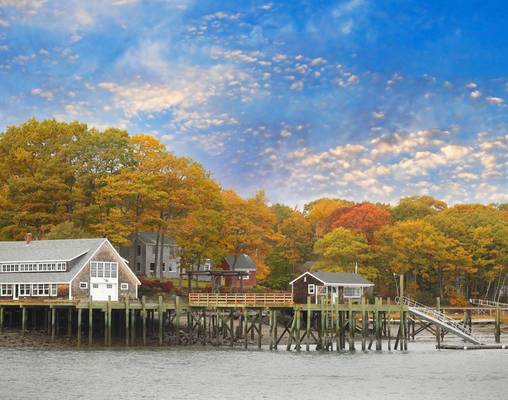 You will dine on freshly caught lobster, be immersed in the unique history of the Eastern Seaboard and enjoy looks at some of the most magnificent fall scenery the United States has to offer. 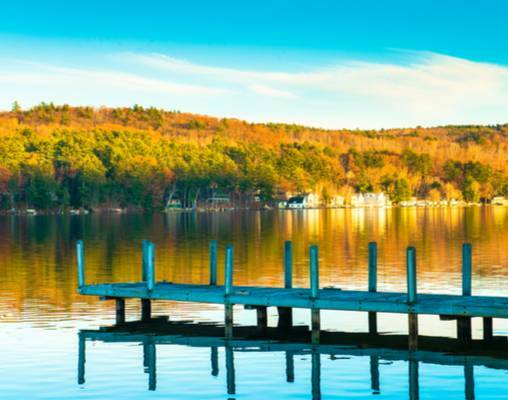 Grab your camera and your jacket; the beauty of a crisp New England fall awaits. 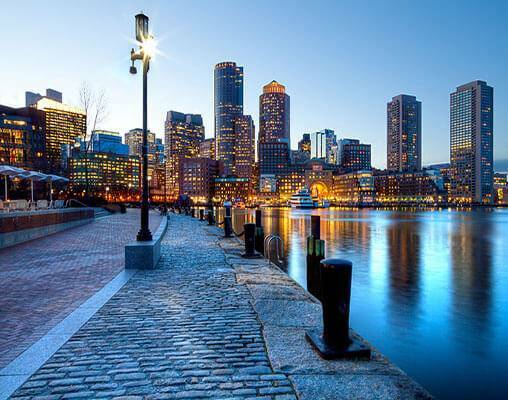 Arrive in Boston today, and transfer to your centrally located hotel on your own. After you are settled in your room, you will have some time to get acquainted with the city before joining your tour manager and fellow travelers this evening for an introductory meeting. Overnight Boston, MA. This morning we will make our way to Boston's North Station where we board Amtrak's Downeaster for the journey to Wells, Maine. Upon arrival, we transfer by motorcoach to Kennebunkport, where you have time to explore the town’s sites and have lunch before we set sail. 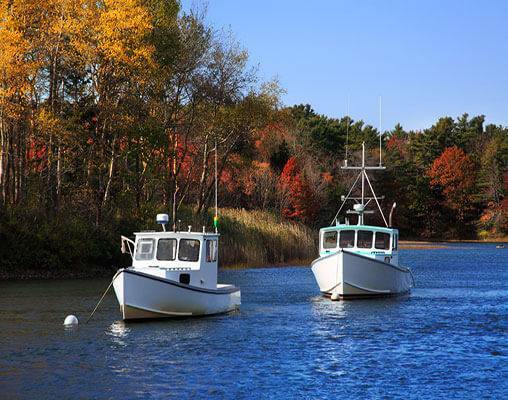 This afternoon, get an up-close look at Maine's lobster industry on a scenic lobster cruise. Look at the colorful forests bordering the water’s edge, pass the Bush family compound or have your picture taken with the day's catch. 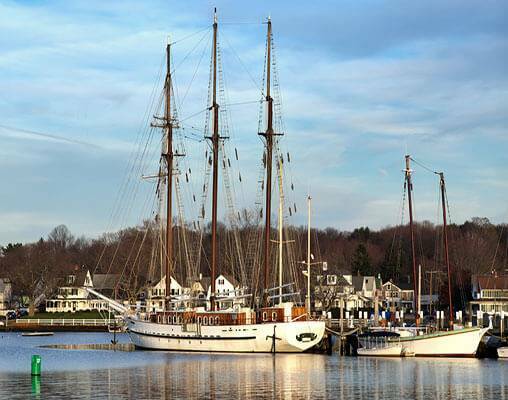 Following our cruise, we will have some more time to explore Kennebunkport. Perhaps try another one of the local eateries, or simply enjoy the storybook views of rustic buildings against the deep blue waters and colorful foliage. Overnight Kennebunkport, ME. Included hotels are the Boston Park Plaza (Boston); The Colony (Kennebunkport); Mountain Club on Loon (Lincoln) *; and Hilton (Mystic). *The 10/7/2019 departure will stay at the Hampton Inn (Littleton) instead of the Mountain Club on Loon. Click here to view testimonials for New England’s Rails & Sails. It was top notch! This is a terrific experience. Heather and Bill were a great team. Heather is very knowledgeable, friendly and has a great sense of humor. Very relaxing and enjoyable. I have already and will continue recommending this trip. Heather was a wonderful tour guide and kept the trip very lively and interesting. Bill was a wonderful and talented bus driver. The timing for the color change we saw was just right. Just disappointed we didn't see a moose. That would have been the icing on the cake. Wonderful trip! So much fun. Great tour manager who kept us informed so we knew what to do and when. I will definitely try to take another trip through Vacations By Rail! Enter your details below if you would like to be notified when 2020 dates and prices are available for New England’s Rails & Sails. Prices are correct at the time of publication, however are subject to change at time of booking. Hotel and Rail accommodations listed above, are subject to change based on availability at the time of booking. Prices are per person based on double occupancy.